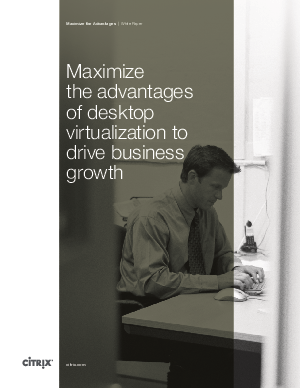 Desktop virtualization helps organizations support business priorities that are crucial for growth. By freeing people to work in more places, on more devices, the organization can offer a more attractive work experience to recruit and retain the best candidates and empower them to do their best work. Meanwhile, securely providing access to data and applications to employees anywhere in the world accelerates the benefits of outsourcing, branch expansion, acquisition, reorganization and other strategies for growth. The Citrix design philosophy for desktop virtualization revolves around personal cloud and delivering benefits of accelerated data delivery.